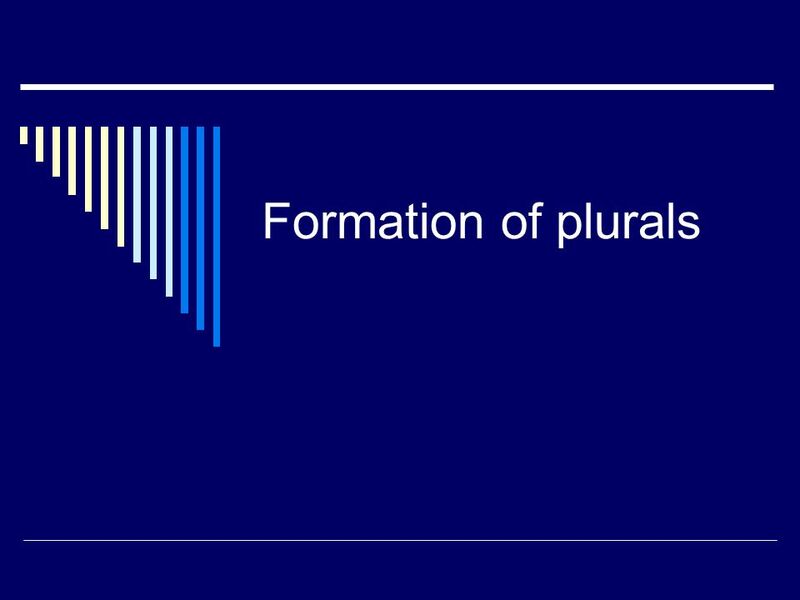 Formation of plurals. 1. 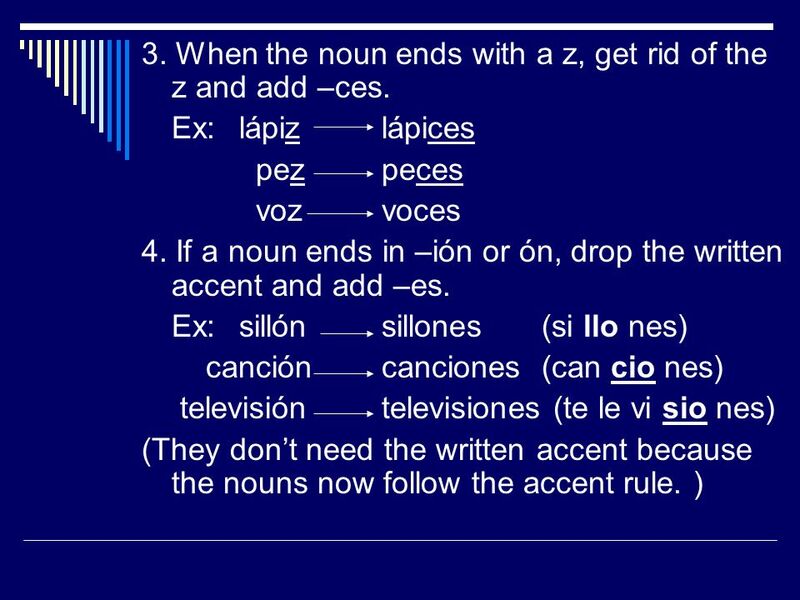 When the noun ends in a vowel add –s. Ex: casacasas cuadernocuadernos escritorioescritorios 2. When the noun ends in a consonant. 5 6. There are some nouns that only exist in the singular form, even though they refer to more than one person or object. 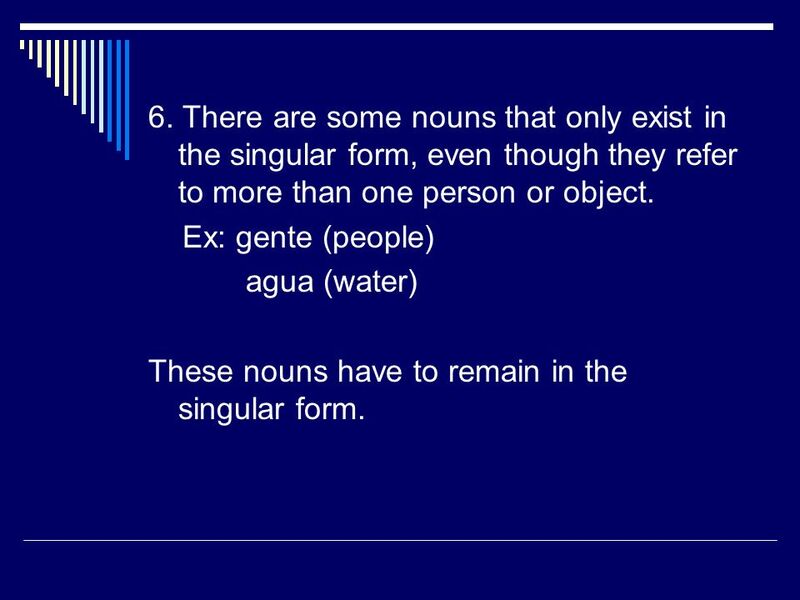 Ex: gente (people) agua (water) These nouns have to remain in the singular form. 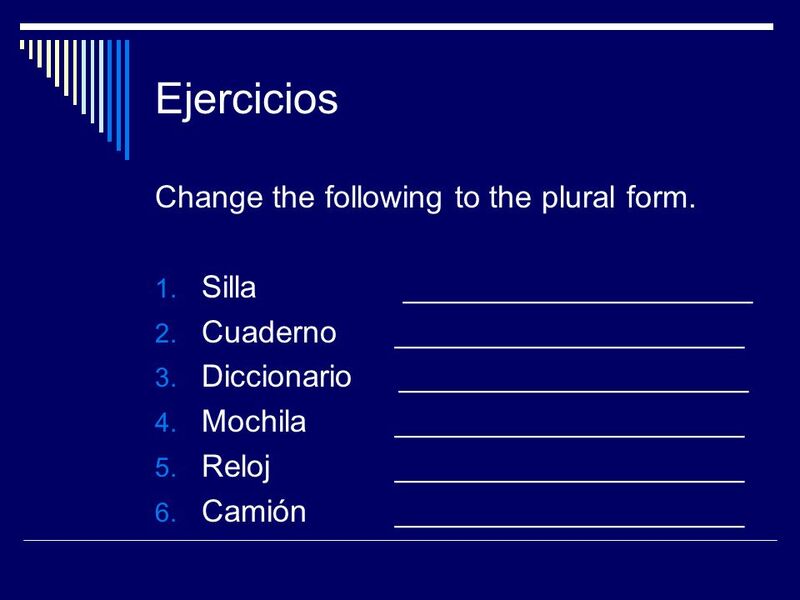 Download ppt "Formation of plurals. 1. When the noun ends in a vowel add –s. Ex: casacasas cuadernocuadernos escritorioescritorios 2. When the noun ends in a consonant." 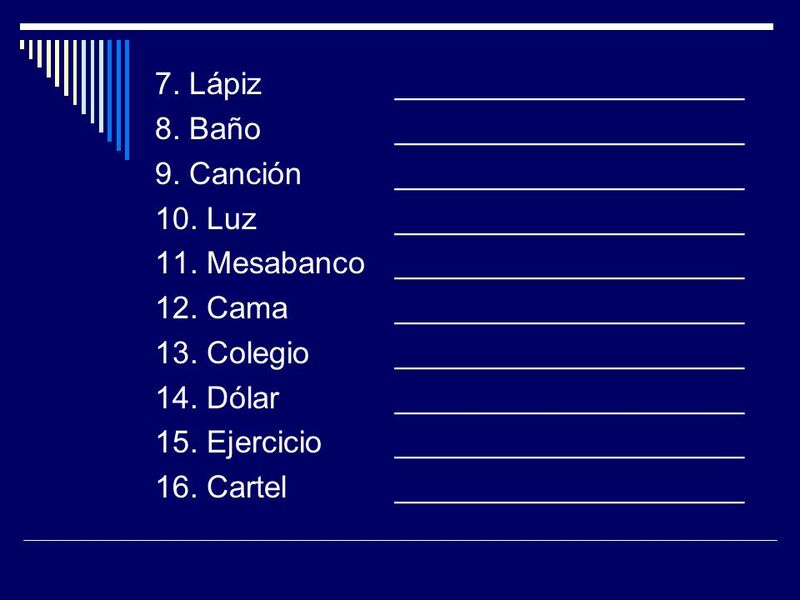 Que quien lo que. No es lo que dije… Lo que me gusta de Highlands es. Gender and Number. 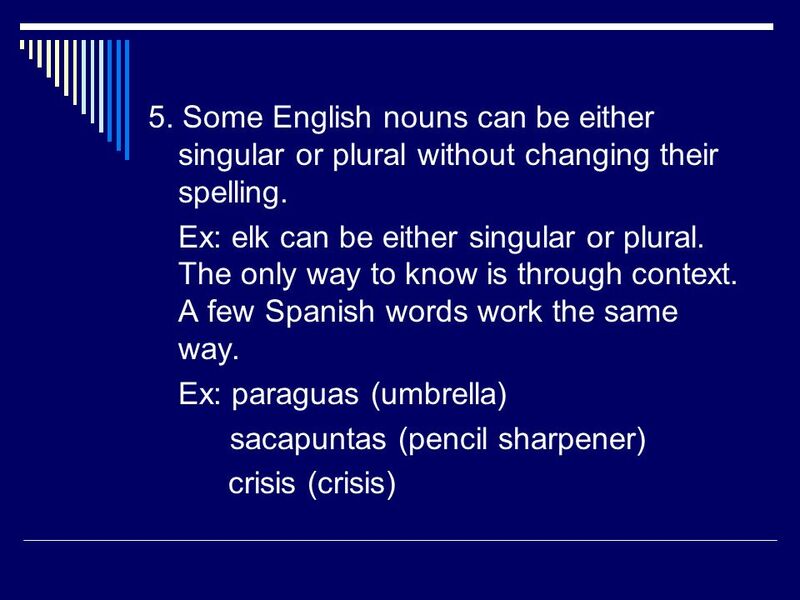  All nouns (words describing persons, places or things) in Spanish are either masculine or feminine. The gender of a noun affects. Definite Articles and Making Words Plural. 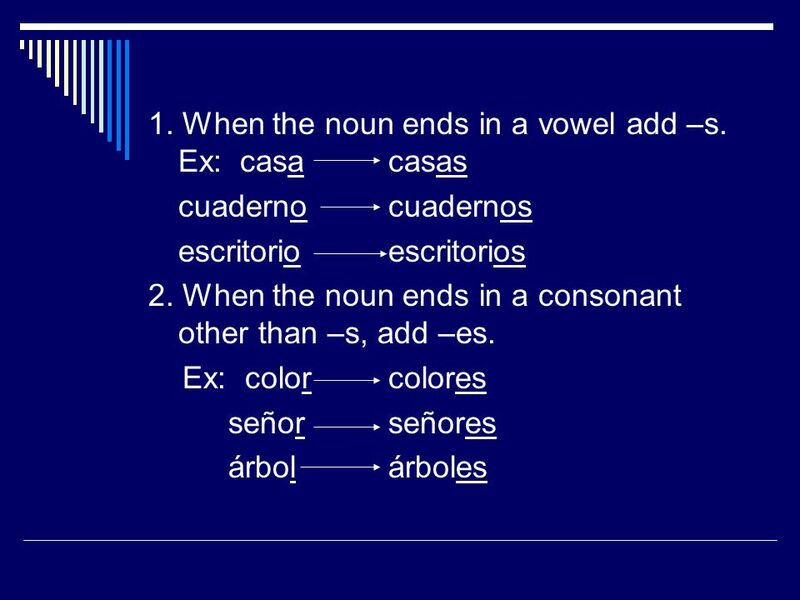 The Four Definite Articles Are... 4 El (word usually ends in “o”) 4 La (word usually ends in “a”) 4 Los (word.